Board treasurer David Perry will lead the organization as its new president. Next summer, the art recreated for the Pageant of the Masters with stage illusions will also serve as a living history of the production’s birthplace in Laguna Beach. 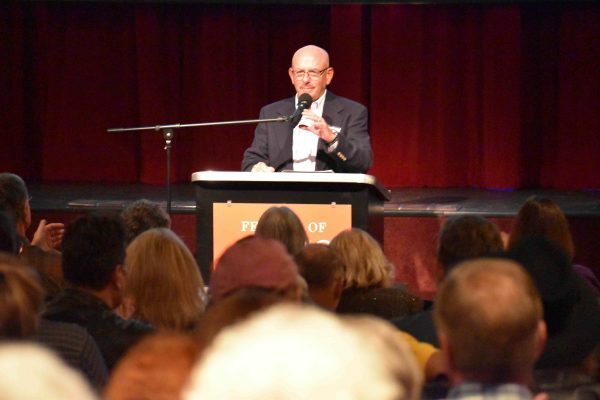 With 2018 serving as both the pageant’s 85th year and the Laguna Art Museum’s centennial, director Diane Challis Davy has decided to tweak her usual thematic program for one with a homegrown texture, she explained Wednesday, Nov. 6, during the annual meeting of the Festival of Arts, which hosts the pageant. 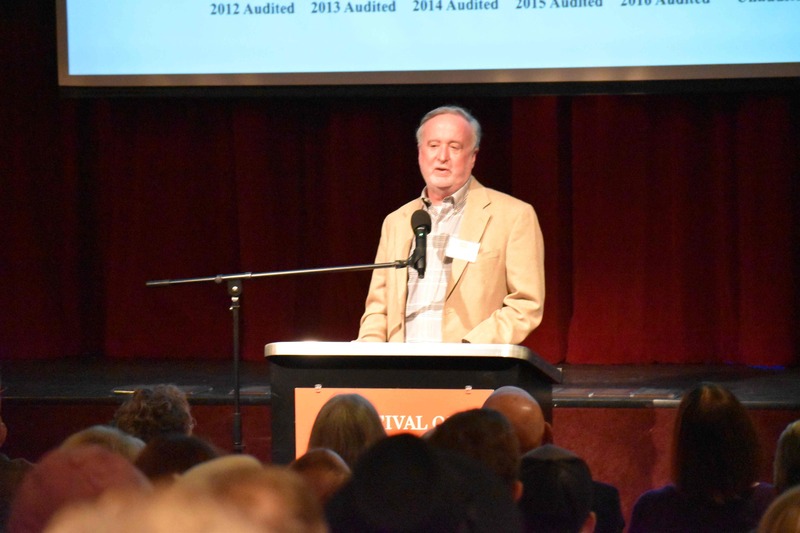 Nearly 200 people attended the meeting where the entire Festival of Arts board was reinstated without an election, as no candidates sought positions, and its new president, David Perry, announced. 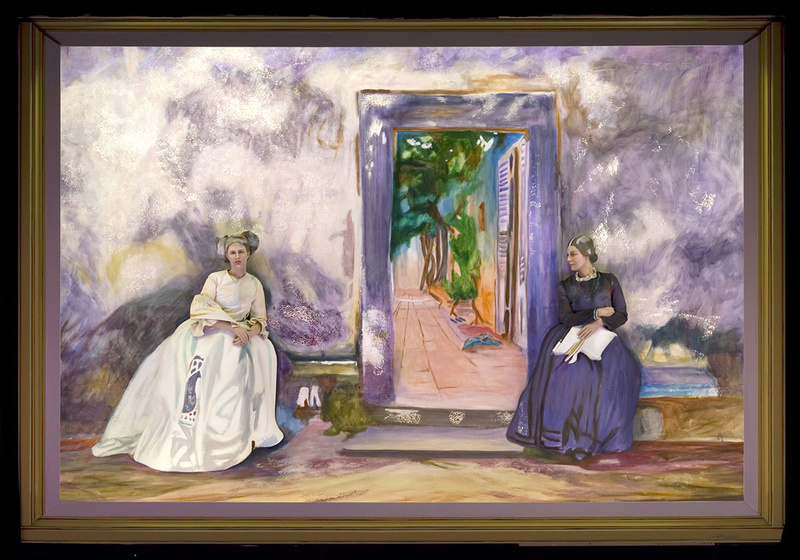 As for next summer, the line-up for the tableaux vivants – “living pictures” – will feature works by early era artists who settled in Laguna Beach beginning in the 1880s. These include paintings by plein air Impressionists William Wendt, Anna Hills and Edgar Payne, who helped establish the town’s first arts organizations, nurturing its identity as an arts colony. More modern masters such as Roger Kuntz, Phil Dike and Rex Brandt will also receive their due, program notes show. The production’s second half is to feature works that help audiences understand the European influences shaping the Impressionist movement. Davy credited the museum’s executive director, Malcolm Warner, with giving her the programming idea two years earlier. “His suggestion is the inspiration for the whole show; old Laguna,” Davy said in an interview afterwards. Even so, focusing on the work of plein air artists, known for capturing landscapes and seascapes by painting on location, created its own hurdle for the pageant’s producers. “They never painted with a single human being,” lamented scriptwriter Dan Duling. Though not entirely true, Davy said finding work by early local artists that depicted the figures central to the pageant’s scenes complicated the selection process. She intends to meet with the museum’s curator shortly to determine how many of the works in the program are part of the museum’s collection. Regardless, plein air art lovers are in for a treat next summer. Preceding the production, a slide show will project images over the 50-foot by 40-foot pageant stage of historic plein air works that depict scenes of the town early in its development, Duling promised. Organizers of the Pageant of the Masters this week announced “Under the Sun” as next summer’s theme when “The Garden Wall” by John Singer Sargeant will be one of the art pieces recreated. Photos courtesy of the Festival of Arts.